As an organisation, AONTAS advocates for the right of all adults in Ireland to quality learning throughout their lives, and to promoting the value and benefits of lifelong learning. We believe that lifelong learning is the key to economic success as well as personal, social and cultural development and as such has a range of outcomes and benefits for the learner. The learner voice forms the cornerstone of our work. Ireland is leading the way in making a commitment to learner representation at both a national and regional level. The Government committed to the establishment of a forum for adult learners in the Further Education and Training (FET) Strategy, published by SOLAS in 2014. AONTAS is leading out on this exciting new development which means that learners are now placed at the heart of the FET service. AONTAS, as a membership NGO for adult learning has the capacity and experience to act as a link between national policy development and what happens in practice on the ground. 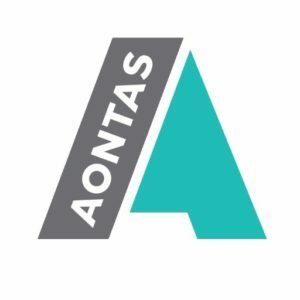 AONTAS critically assesses the relationship between policy and practice and facilitates valuable dialogue between policy makers, practitioners and learners, thereby strengthening the voice, visibility and value of adult learning in the wider context of lifelong learning. AONTAS is a strong advocate for adult and community education. We have an vibrant Community Education Network and we publish the annual Adult Learner Journal which provides the adult education community in Ireland with a forum for critical reflection on the practices of teaching and learning. We also respond to policy developments and build effective relationships with key policy makers in striving for a more equitable lifelong learning field. strategy to support this work in order to ensure our message is clear and reaches the widest possible audience. This includes the AONTAS Adult Learners’ Festival and the Information Referral Service. We build strong relationships with public representatives, public servants and other key stakeholders to profile the importance of supporting adult and community education. 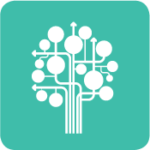 At a national level, AONTAS, as a membership organization has established a Community Education Network (CEN). AONTAS furthermore participates in and represents the voice of adult learners on key advisory, working groups and ad-hoc focus groups. AONTAS also coordinates the annual Adult Learners’ Festival, a nationwide celebration of adult learning.